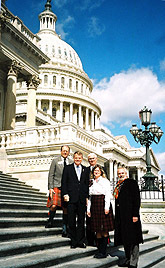 National Capitol Tartan Day Committee | Official site of Tartan Day | Washington D.C. The National Capital Tartan Day Committee, Inc. (“NCTDC”) is a nonprofit charitable and educational organization, incorporated in 2002 in the District of Columbia. NCTDC enjoys tax exempt status under Section 501(c)(3) of the U.S. Internal Revenue Code. It’s sole mission is to promote an understanding of, and celebration of, the National Tartan Day holiday (observed on April 6th of each year, by Standing Resolutions of both houses of the U.S. Congress) in and around our Nation’s Capital. Membership in NCTDC is open to all persons living within a 100-mile radius of Washington, DC who subscribe to the goals and purposes of the organization. NCTDC is governed by an elected board of directors, drawn from the local DC Metro Area Scottish-American community. Officers for 2014 are Kathy Garrity (President); John King Bellassai (Vice President), James Morrison (Secretary), and Clark Scott (Treasurer). 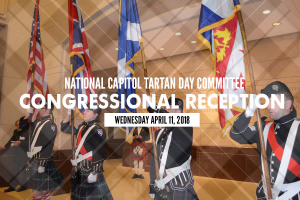 The officers and members of NCTDC volunteer their services each year to plan and staff a variety of Tartan Day events in and around Washington, DC and neighboring Alexandria, VA (both of which were settled by Scots in the mid-18th century). 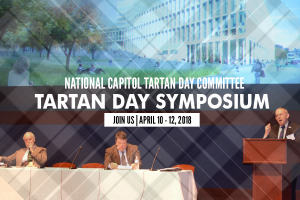 No one at NCTDC is ever compensated for his or her time devoted to promoting the Tartan Day holiday or convening events to celebrate it.